The Rotary Club of Cirencester recently staged its annual Technology Tournament and it attracted some excellent local talent to take up the challenge. This year’s task was to build a structurally sound and fully functional opening bridge, similar to Tower Bridge, using only the limited materials supplied – drinking straws, sheets of card, pulleys, string and glue. Participants had no prior knowledge of the task and after a period of consideration and planning launched into building their bridges under the watchful eyes of the competition judges. 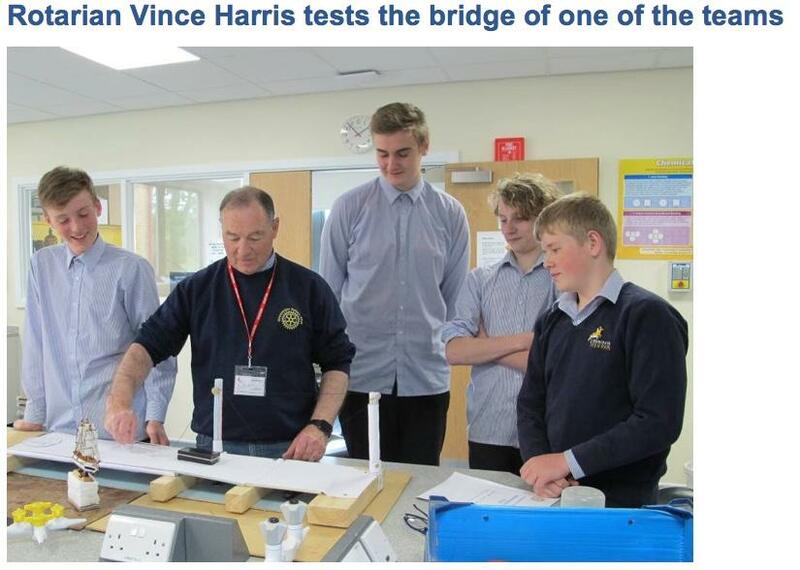 There was a surprising varity of approaches taken but all the teams completed the task and had their constructions subjected to testing – with a model sailing boat passing through the opening section and a heavy lead weight being pulled over the roadway sections. There were two categories of difficulty of task – the Intermediate and Advanced builds – and the winners of these categories were “Bad Boy Bridgers” (Deer Park) and “Carbon” (College) teams, respectively. 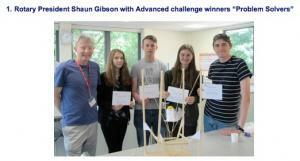 Each winning team member received an Amazon voucher and everyone taking part was presented with a certificate. Perhaps more importantly, they all tested their scientific knowledge and team-working skills and had fun doing so.